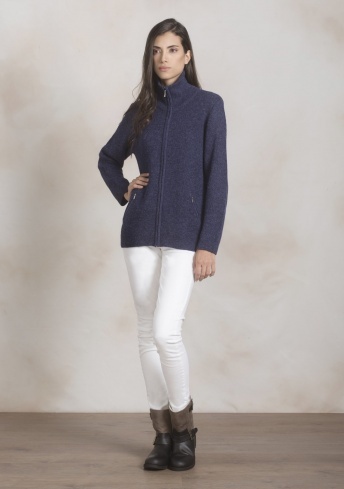 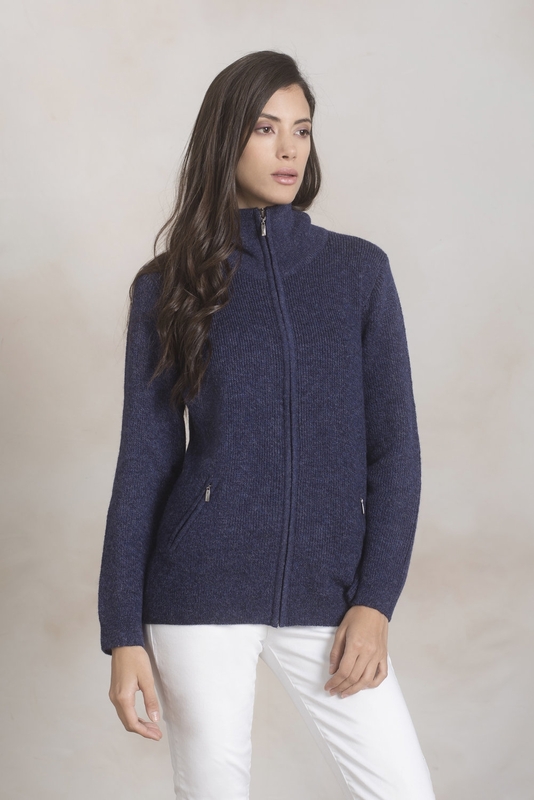 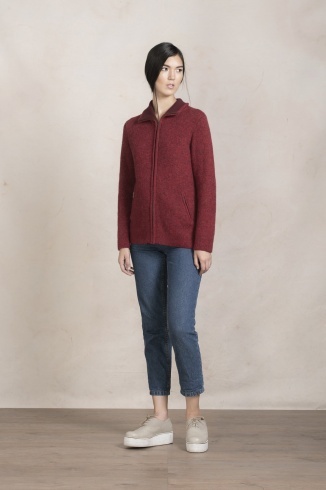 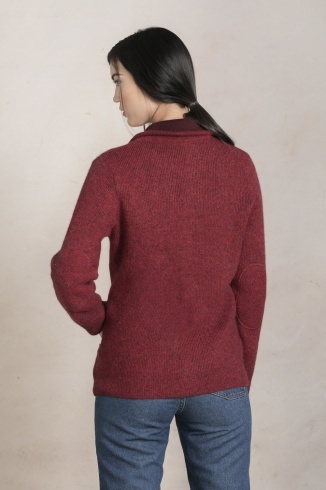 A Full-Zip Baby Alpaca & Cotton blend Cardigan with a lined neck and side pockets. 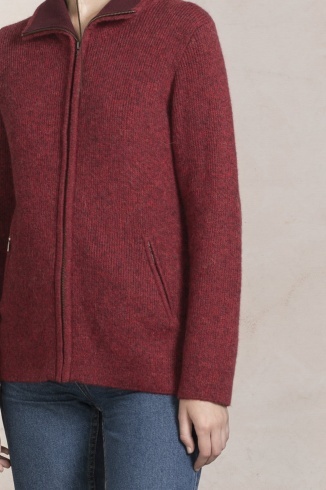 Doubles as a light jacket. 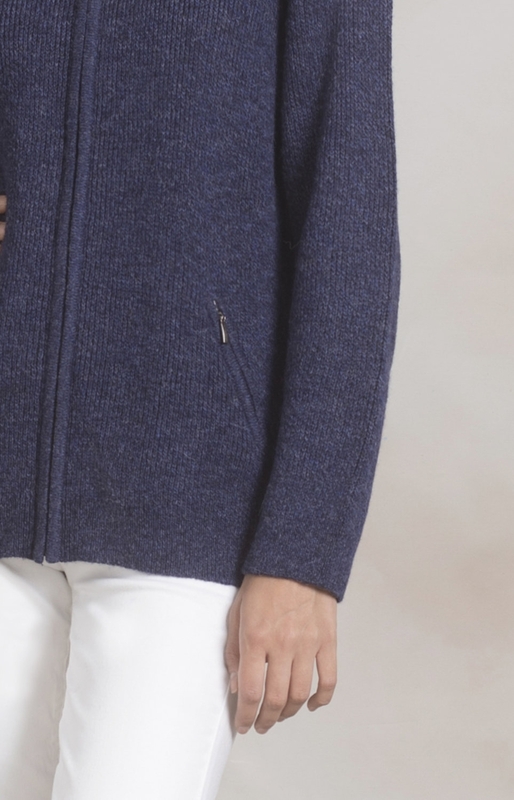 A melange knit Cardigan with a full zipper. 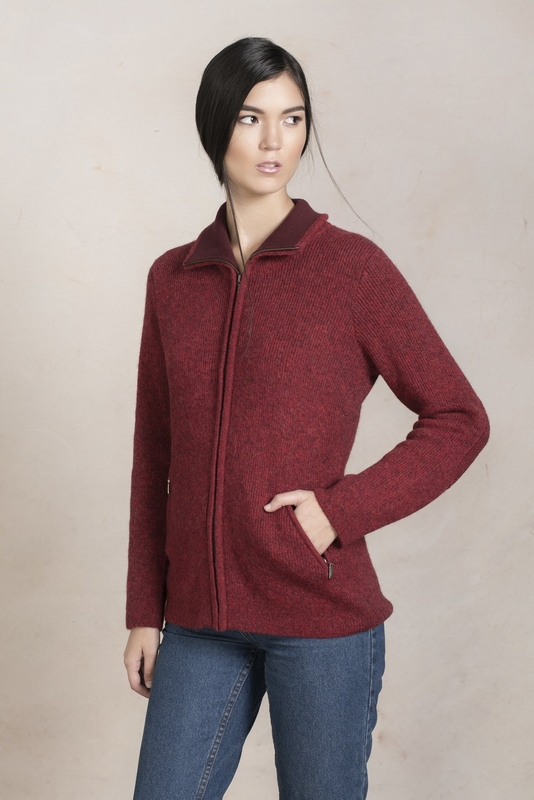 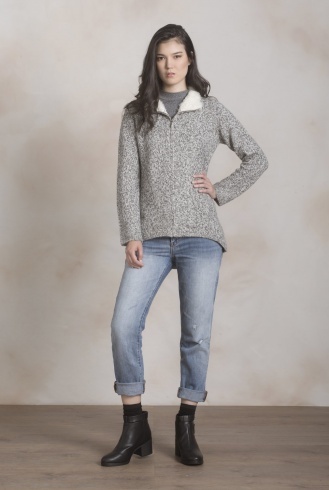 Made of a blend of 80% Baby Alpaca and 20% wool.The design includes a shirt tail back and a french yarn inside collar for added warmth.